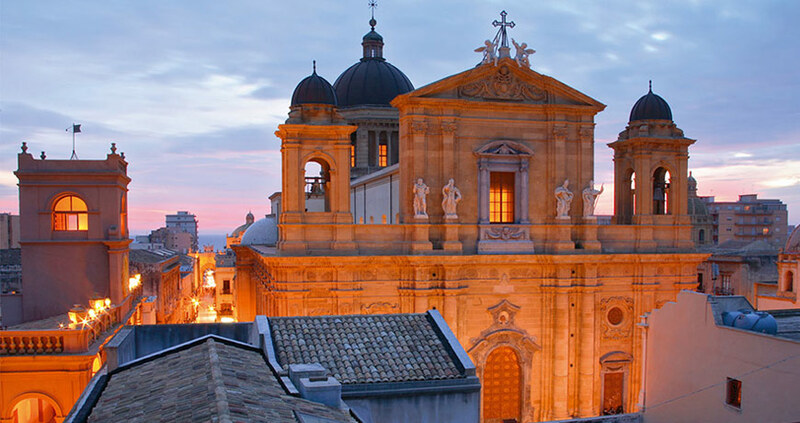 Marsala is a legendary city, located on the outer tip of Sicily. It is a seaside town and its economy is mainly based on agriculture, sericulture and wine industry. Here is produced the famous Marsala wine, which the British discovered and valued starting from 1773. In addition to wine, another page in the history of this city was wrote by Giuseppe Garibaldi: a museum and study center, located in San Pietro complex, are dedicated to this hero and to Italian Risorgimento. The old town is surrounded by ramparts and doors, through which Spanish palaces, churches, monuments, art galleries and theaters wind. Also the fish market, located in the Spanish quarter of Cassaro, deserves a visit. Marsala offers both a lot of shopping opportunities and restaurants and wine bars, where you can taste typical dishes with Greek origin. Outside the city center, you can find "Stagnone Nature Reserve", with an enchanting scenery surrounding Monthia island from dawn to dusk. Archaeology is another of the main attractions of Marsala: an archaeological park extends from Porta Nuova to Boeo Promenade. Marsala is a lively city all year round, with a calendar full of events: music, folklore, theatre, jazz, meetings and conferences, shows and exhibitions. "Now I understand why the Gods loved Sicily so much. "This is what was written in 1880 by a "Milady in Sicilia", whose real name was Frances Elliot.